It is a commonly assumed piece of information that renting is always a waste of money and buying a home is always the best financial decision. And while there are some obvious advantages to buying, it doesn’t mean that renting is always the bad choice. In fact, there are many parts of the world where renting is widely considered the norm. Rising house prices and high student loans are just two of the reasons why homeownership is out of reach for so many people. But rather than letting that get you down, here are a few reasons why you shouldn’t be too down on renting. It is naturally assumed wisdom that buying a home is always going to a great investment. But at the same time, it also ties you down to a debt that you will be paying off for a huge chunk of your life. As well as this, though there are certain areas where house prices shoot up at a rapid rate, in the majority of places, they rise much more modestly. Plus, if you are planning on moving to a new area any time soon, you have to go through the costly process of selling up and paying all sorts of fees. Renting gives you a lot more freedom in this regard. Many people are turned off by the idea of renting because they think that they aren’t getting anything for their money. First and foremost, you are actually getting a roof over your head which is certainly not nothing! But beyond this, you are getting a place where you don’t need to worry about a lot of the costs that you would have to think about if you owned a home. So, when you have a duplex for rent, you enter an agreement in which the landlord often takes care of unexpected charges. For example, if the boiler suddenly breaks down, you would always have to bear this cost if you are a homeowner but not if you rent a place. If you have any blemishes to your credit history that you have built up over the years, you may find it very difficult to buy a home in the first place. 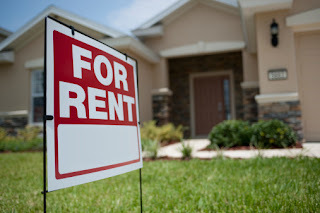 You may have a long-term plan to purchase a property, so spending some time renting can help to recover your credit record. Demonstrating that you can pay your rent on time on a regular basis can be a positive factor if you are looking to buy somewhere eventually. Some people decide that investing in property is not the right decision for them and they would prefer to invest their money elsewhere instead. There are plenty of other investment options out there, so it is worth doing some research about what would suit you the best.